Slate Steel Reversable Leather Belt Need Help? 4Play London Genuine Leather Reversable Belt. 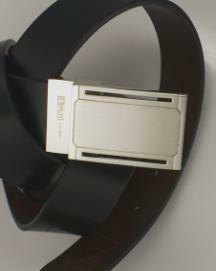 Elegant and sleek reversable black / tan leather belt with sleek stainless steel buckle. Two belts for the very affordable price of one. Practical swivle buckle allows for easy conversion.